Stick with the rainbow vomit, Snapchat. On Tuesday, the ephemeral social media platform released a photo filter that had Twitter and Facebook in a tizzy. 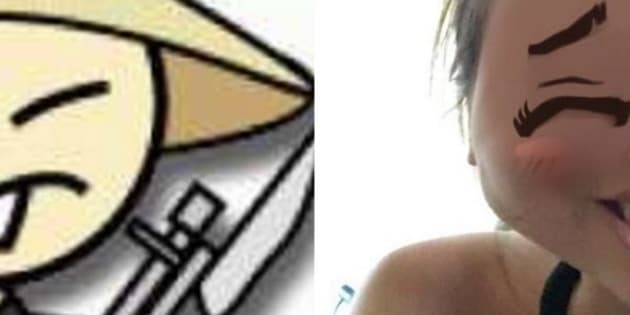 The filter superimposed users’ eyes and teeth with characteristics alarmingly similar to racist Asian caricatures. Snapchat removed the filter by Thursday, but the damage was mostly done. The platform told The Verge that the “lens was inspired by anime, and was meant to be playful.” It also indicated that the filter will not be put back into circulation. Snapchat is known for its outlandish filters - think rainbow vomit, flower crown, dogs, etc. - but this certainly isn’t the first time the company’s released a questionably racist filter. There have been issues with whitewashing and blackface in the past, raising a serious question: How diverse is the Snapchat office? It should go without saying that if diverse groups are represented in a workplace it will likely create a more open-minded and inclusive mindset. Do better next time, OK Snapchat?